Bleach There are 14 products. 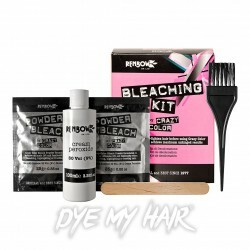 You’ll want to check out our selection of bleach kits which are the perfect way to prepare dark hair for a lighter tone or color of hair dye. If your hair is naturally dark, then hair lightening products will transform your look to lighter tones. Dark shades can sometimes be problematic when dyeing, as dark color of hair can sometimes be difficult to completely cover with hair dye. There’s nothing worse than getting an unexpected shade of hair dye as an end result of the dyeing process. This is why hair bleach is used. The product lightens the tones of the hair in order to create a blank canvas for the dye to be applied to. 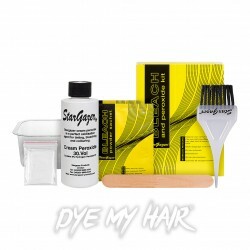 All of our hair bleach range comes in essential kits which will include everything you need to start bleaching! 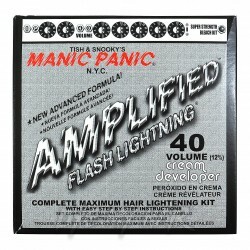 Products such as the Manic Panic Flash Lightening Bleach Kit comes with dust-free bleach powder, crème developer, mixing tub, tint brush, plastic cup and gloves, so it's everything you need all in one place. The Manic Panic bleach kit is the perfect example of how you can easily switch up dark tones up for a fresher look without those long trips to the salon. The term ‘bleaching’ can sometimes be a scary word for home hair dye novices, so before you bleach it's important you have all the know-how to make sure everything goes as planned. Here at Dye My Hair, we know a thing or two about making sure you bleach hair properly, so have made a little list of tips and tricks you can use when getting your hair a few tones lighter. Make Sure Your Hair Is Prepared – as bleaching can be damaging to hair, you need to make sure your locks are in tip-top condition to keep them strong and healthy throughout the process. Hair care products such as conditioners and, in some cases, coconut oils, are ideal ways of keeping hair strengthened. If you are unsure about whether your hair is in good enough condition for bleaching, it is recommended to check with your hairdresser or hair care specialist to get a professional opinion on hair condition. Consider Multiple Bleaches – if you are currently sporting an exceedingly dark natural hair tone and are craving a gentler shade of pastel pink, it may require multiple bleaching to make it light enough for dyeing. This can be a vigorous process for your hair to undergo it is essential that you fully understand the ins-and-outs of bleaching before starting such a process. Recovery Is Key – once your hair has been bleached it is important to give your hair a break during the dyeing process. 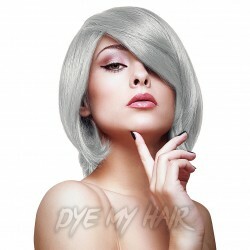 After your hair has been bleached, and you have achieved the required shade you should considering waiting at least a day before applying further products such as toner or even the dye itself. This is simply to reduce the amount of strain will go under through multiple processes. A day off is always a great idea, even for your hair! Gently Does It – even the physical treatment of your hair can reduce the amount of damage caused by the bleaching process. Combing in the bleaching product with a wide tooth brush can reduce the amount of pressure the hair will undergo as well as reducing the chance of tangling or knotting the hair. When towel drying, styling or generally brushing, be careful with your hair to avoid any unwanted further damage or breakages. 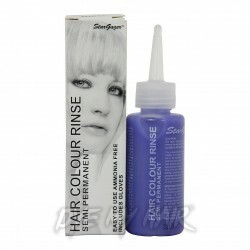 Application – when putting the bleach onto your hair, you will want to treat it in a similar fashion to applying hair dye. You will want a full and complete coverage of the hair to create an even shade and overall look. To ensure the hair bleaches the same color, consider trying to leave the scalp to last. Being closer to your head, the heat may cause the hair bleach to drying faster, which could leave an uneven finish on your hair. 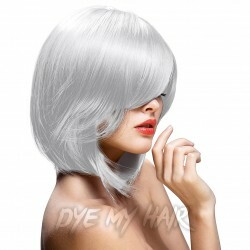 When considering home hair bleaching, the condition and quality of your hair should always be the top priority. It is, of course, important to get you dark headed lot over to the lighter side, but that shouldn’t come and the expense of your hair. Read up on all the product instructions and guides to make sure you’re using the hair bleach properly. If you’re ever in doubt why not consult a hair dye specialist so you can make sure you achieve the best results? 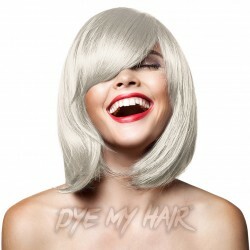 Here at Dye My Hair, we’re not only about the dye, with an awesome selection of home hair bleaching kits available, we’ve made it easier to totally transform your look – no matter what your natural shade. If you want the best results possible when it comes to dyeing your hair, make sure you use the La Riche Directions Hair Lightening Kit beforehand! 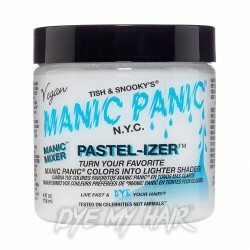 Lighten your locks in style with the Manic Panic 30 Vol. 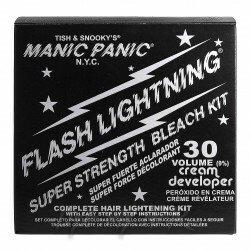 Flash Lightning Kit, the perfect way to get your blonde on!